Around these parts, putting spinach, cheeses, bacon and chicken together is a common occurrence. More often than not I 'stuff' the chicken with some sort of cheese, and when I don't, it usually has a creamy, cheesy sauce to top it. 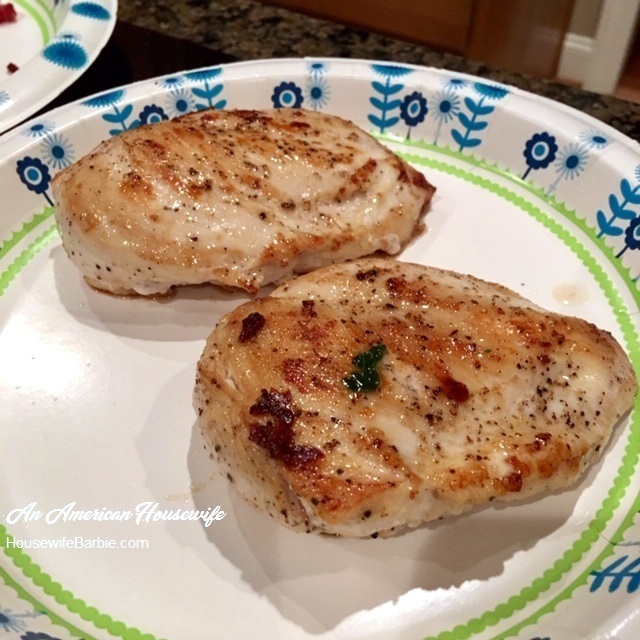 This dish is one I've made similar versions of many times, but tonight I didn't have any ideas of what to make with the chicken I had thawed and needed to use up so I flipped through one of the new low carb cookbooks I bought last month (Easy Keto Dinners - and I'll link to it at the bottom of this post!). 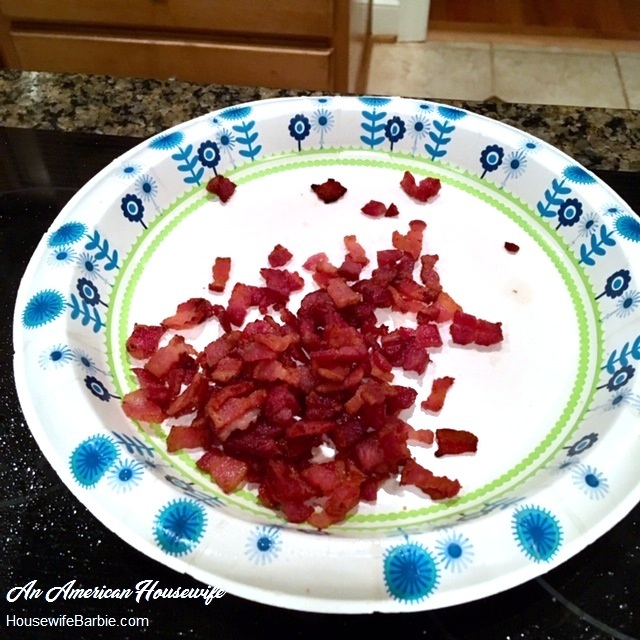 Dice the bacon and cook it in a skillet on the stovetop. 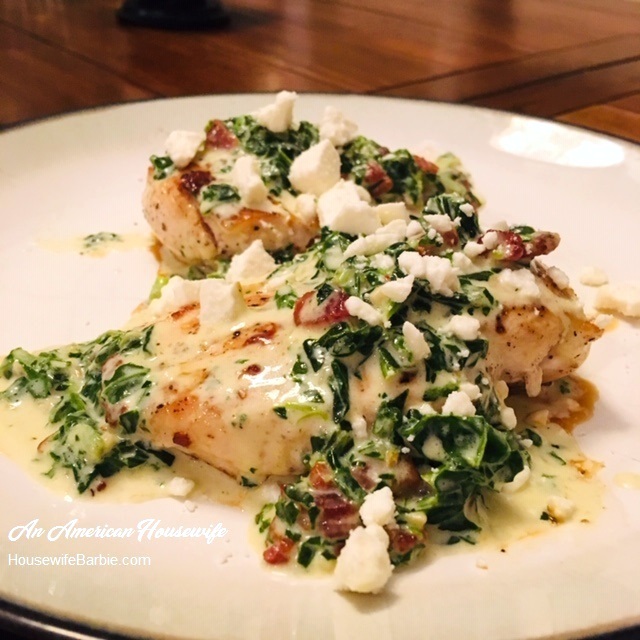 Remove the bacon to a plate, season and cook the chicken in the pan with the leftover bacon drippings. When the chicken is done, remove it to another plate. In the pan, add a tablespoon of butter and then add the garlic, stir it quickly and add the spinach. Cook about 2-3 minutes until it's wilted. Stir in the heavy cream and Parmesan. Stir until it starts to thicken. Add the bacon. 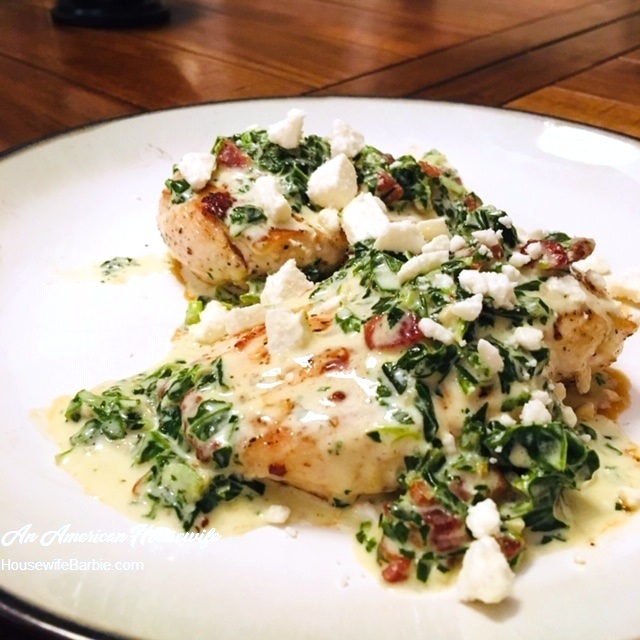 Spoon the sauce over the chicken breasts on the serving platter, and sprinkle the feta over all. Cooked bacon, set off to the side... save the drippings in the pan! Cook the chicken in the drippings in the pan and then remove to a plate while you use the pan to make the sauce. 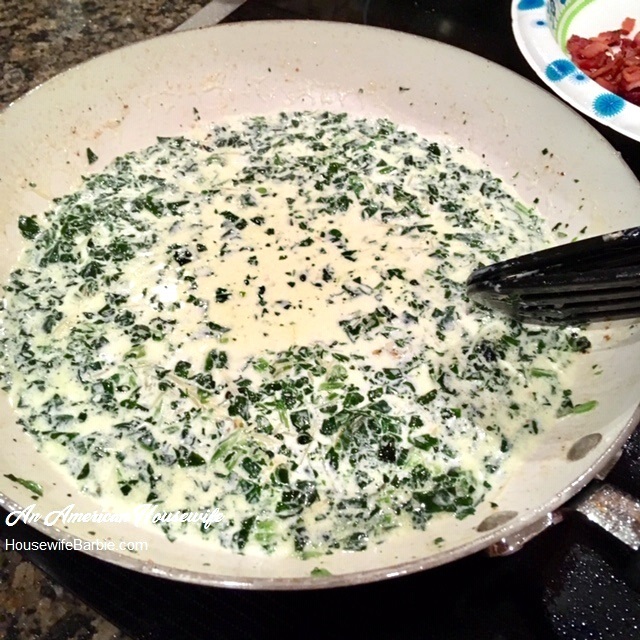 The cream, spinach, garlic and Parmesan... YUM! The bacon in the sauce... and it's ready to go! Sprinkle some feta on top - it's the perfect addition of salty to finish it off. You might also be interested in these related books - the first one has the recipe in it that helped me brainstorm what to make for dinner tonight! The other two are similar styles - I actually own the first two but not the last so I don't know about that one yet!